Getting a good night’s sleep under canvas can take some preparation, but with a little effort being at one with nature can be a comfortable experience. Here's a few thoughts on how to turn a camping trip into a Glamping trip! 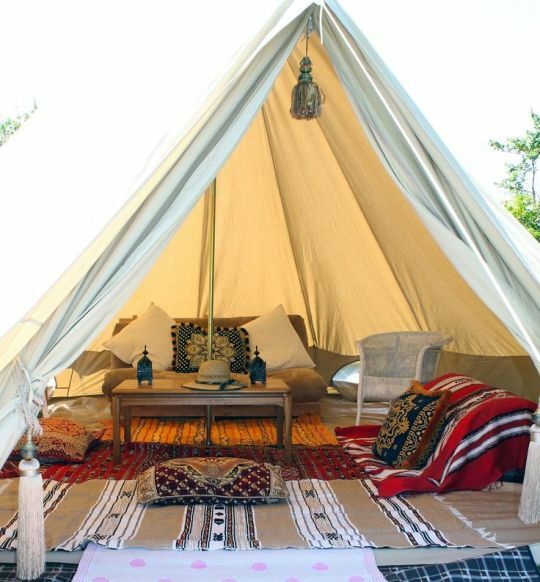 Adding carpet gives a bell tent a real luxury feel. Tent carpet is available in half moon and full tent sizes, If you go away camping for a week or more at a time investing in a carpet creates the feel of a luxury bedroom. Coir matts can also add an extra layer between you and the ground, so its warmer on the feet in the morning! 2. Enjoy A Glass Of Wine. These Great wine glass and bottle holders make sure you don't spill a drop! 3. Forget Your Sleeping Bags! Being zipped into a sleeping bag isn't the best way to feel like you're enjoying a luxurious Glamping holiday! For a comfortable camping experience, take duvets, blankets and quilts. Leaving the sleeping bags at home means you can layer things depending on the temperature outside. Remember to also bring a fitted sheet to cover the mattress. You may not need anything more than sheets and a duvet for a summer camping trip but later in the season take plenty of layers to keep in the warmth. 4. Take A Good Book. 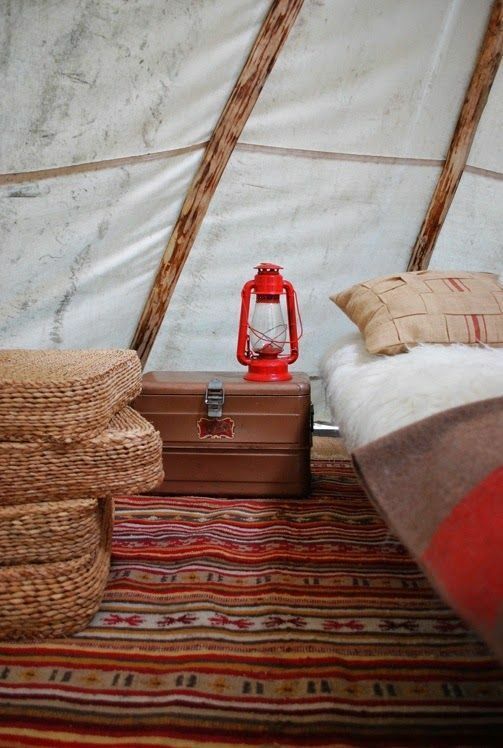 Glamping is all about relaxation and unplugging from normal life, You can't beat the feeling of lying under canvas in a cosy warm bed reading. Get an LED storm light for beside the bed and start a good book. You'll feel the tension melt away. You can be creative with what you use to create bedside tables and they can also be useful for storing equipment whilst traveling. Experiment with old suitcases or crates to bring a vintage style to your tent. Side tables you've created yourself are fab for bringing extra comfort to the tent. 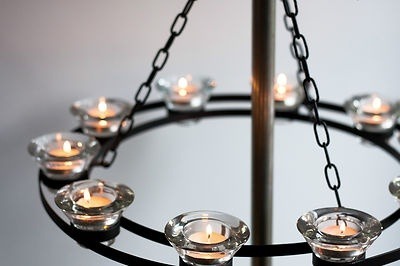 They also work well for displaying features such as lanterns and for keeping essentials such as torches near by. Take comfortable pillows on your trip. We take ours from home so we don't have to put up with small fold up camping pillows, It's the best way to ensure a great nights sleep. 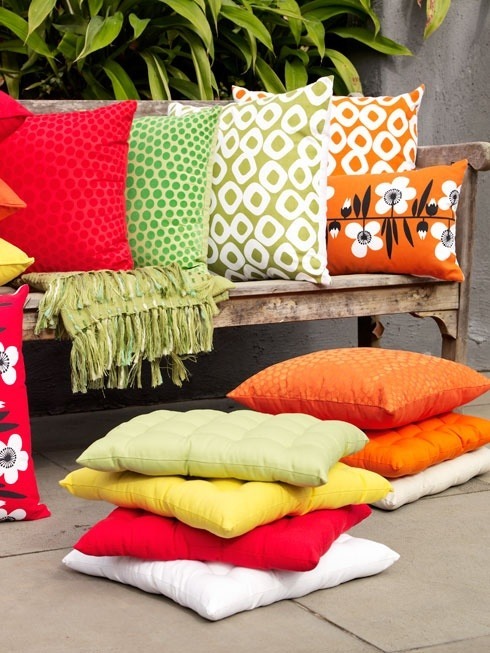 We also like to take a few extra scatter cushions, so we have something comfy to curl up with. 7. Hang Up A Chandelier. 8. Use Lots Of Rugs! 9. Get A Folding Bed. It's hard to imagine what they would be used for. But when the pieces start to come together, you can see it's supposed to be something much, much better than just a box. Every piece needed to make the final form is included in the box. Each joint or bolt inside of the box has a purpose. Just take the handles out... And extend! That is DEFINITELY a bed, not a box!